Just work your way down the list until this Blue Screen of Death(BSoD) ntfs.sys issue is resolved. Nine times out of ten, this Ntfs.sys BSoD error occurs simply because you have the wrong/corrupted/outdated drivers on your computer. It can be difficult to put finger on which one is offending our system so we need to update ALL the drivers available to help resolve the situation. 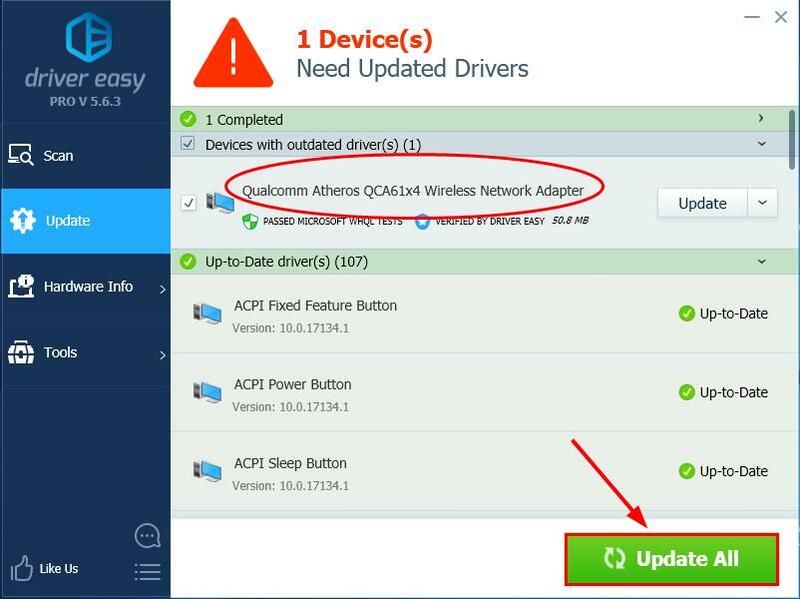 Update your drivers manually – To troubleshoot the issue, you can update all available drivers manually ONE BY ONE until you pin down the exact driver at fault. 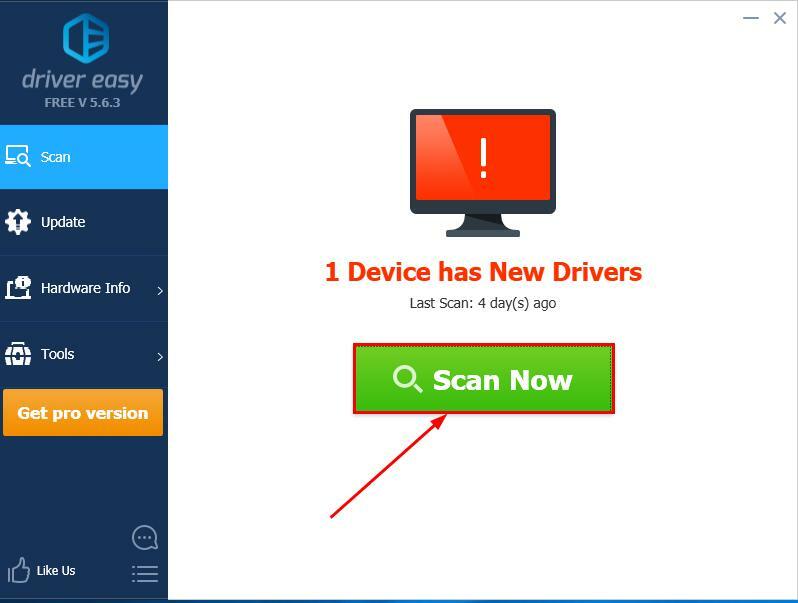 Firstly you’ll have to go to the manufacturer’s website, search for the most recent correct driver for the devices. Be sure to choose ONLY drivers that are compatible with your variant of Windows system versions. Then download & update them on your own. Restart your computer and keep track of your PC to see if the ntfs.sys bsod problem gets fixed. Turns out some third-party anti-malwares cannot do well with our OS, hence this ntfs.sys failed problem with BitDefender and Webroot being the most nasty ones. So we might have to check if we have them installed unknowingly and remove them. 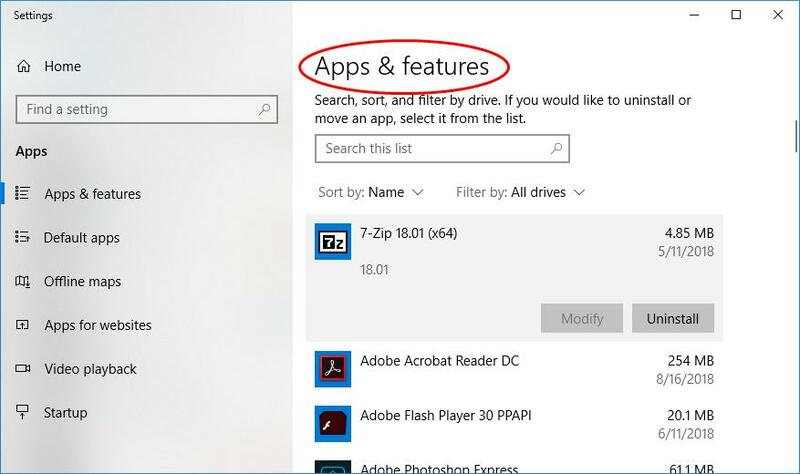 On your keyboard, press the Windows logo key , and type apps. 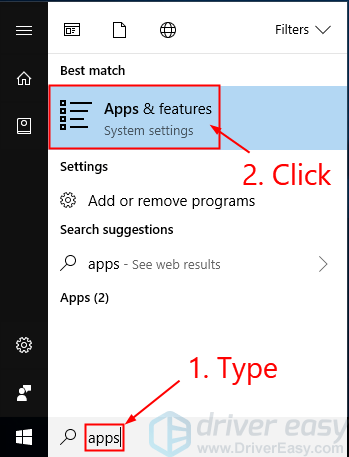 Click Apps & features. Browse through the apps & features list and see if you have BitDefender or Webroot. If yes, uninstall BOTH of them. Restart your computer and hopefully the ntfs.sys bsod problem never ever strikes again. Check your hardwares. Turn off and unplug your PC, then remove all of your RAM sticks. Try to power your computer back on with the sticks, ONE BY ONE. If your computer fails to boot with a specific RAM, you know that one is to blame. Check the timings and frequency of the RAM. Go to your RAM’s manufacturer’s official website and find out the default & recommended values. If they don’t match, you might have to overlock/underlock the RAM. Be sure to leave your PC with professional hands if you’re not familiar with the BIOS modding stuff.